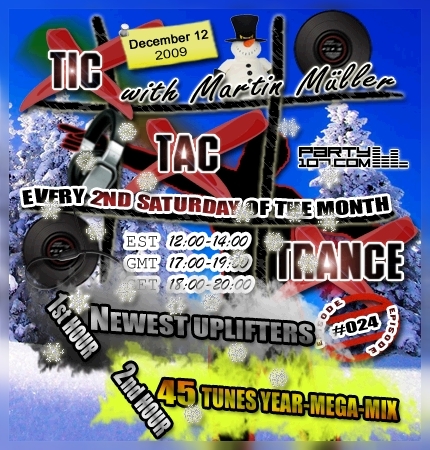 This year’s final episode #024 of Tic Tac Trance will air on December 12 at Party107.com. Not only because I think it was a great year for trance I’ll open the first hour of my show with a choice of my current, favorite uplifters. For the second hour I’ve prepared something I haven’t done before: a year-mega-mix. 45 of the show’s favorite records will create a nonstop 1 hour melodic journey you’ll hopefully enjoy! Expect a big mashup-mix with crazy transitions!